Step 1. 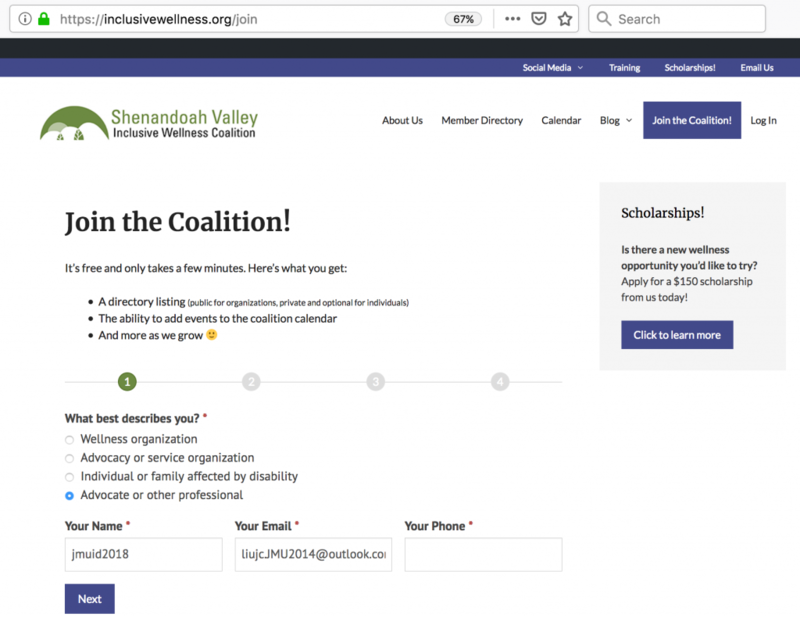 Visit https://inclusivewellness.org/, and click “Join the Coalition“. Step 2. 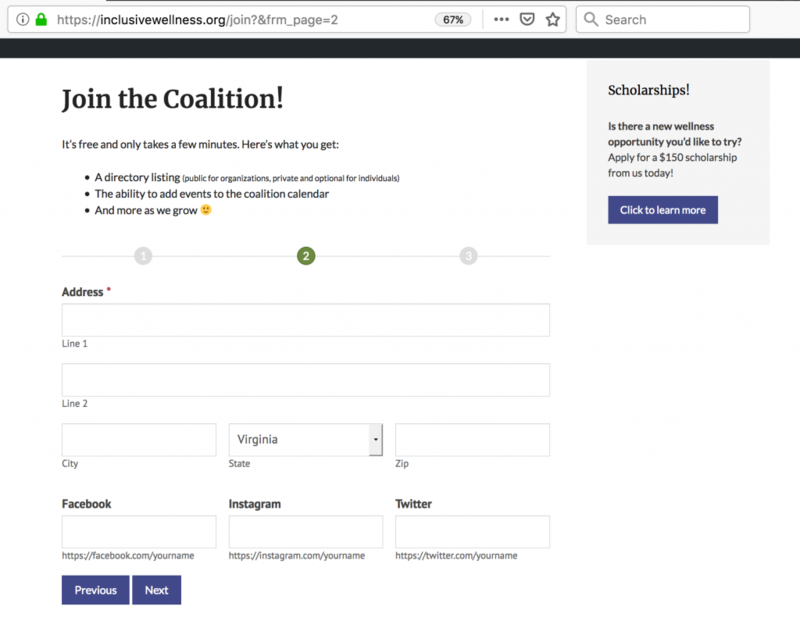 Join the coalition with your email address and a username. Step 3. Complete other identification information. Step 4. 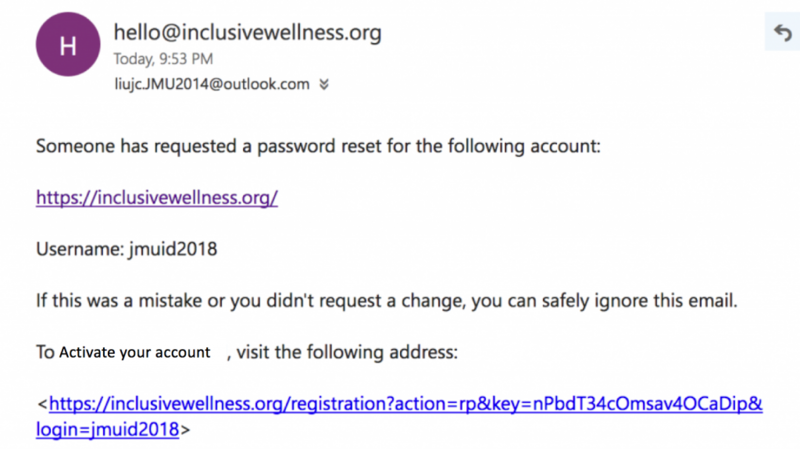 Confirm from your email or reset password. Step 5. Log in with your verified email and select “Take me to the training!“. Step 6. 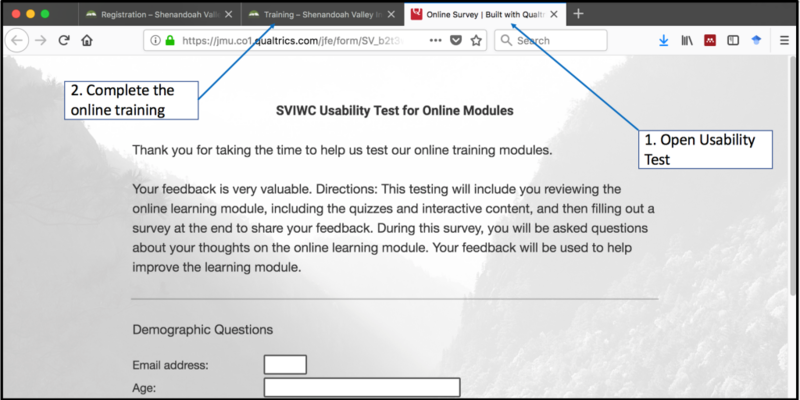 On the screen below, click “SVIWC Usability Test for Training Modules” to open the usability test in a separate window. You will fill this usability test after you complete the module. 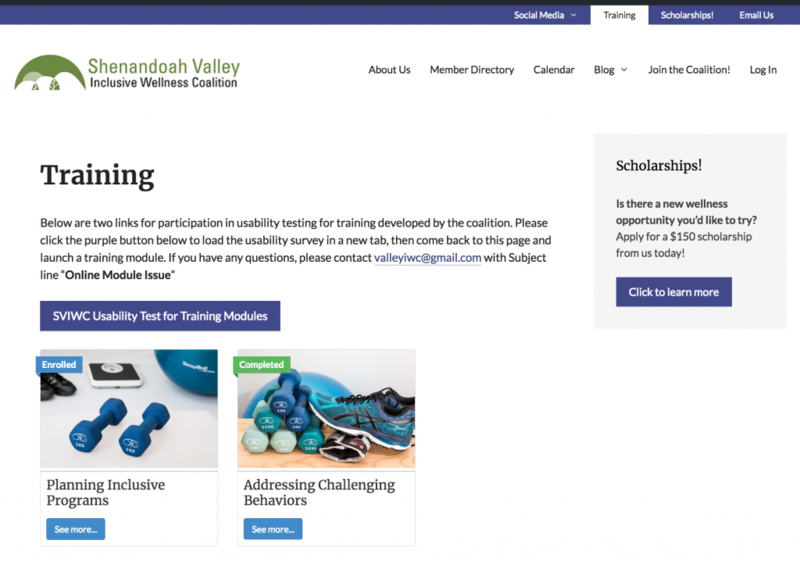 Then click the “Planning Inclusive Programs” to start the usability test of the module. Step 7. 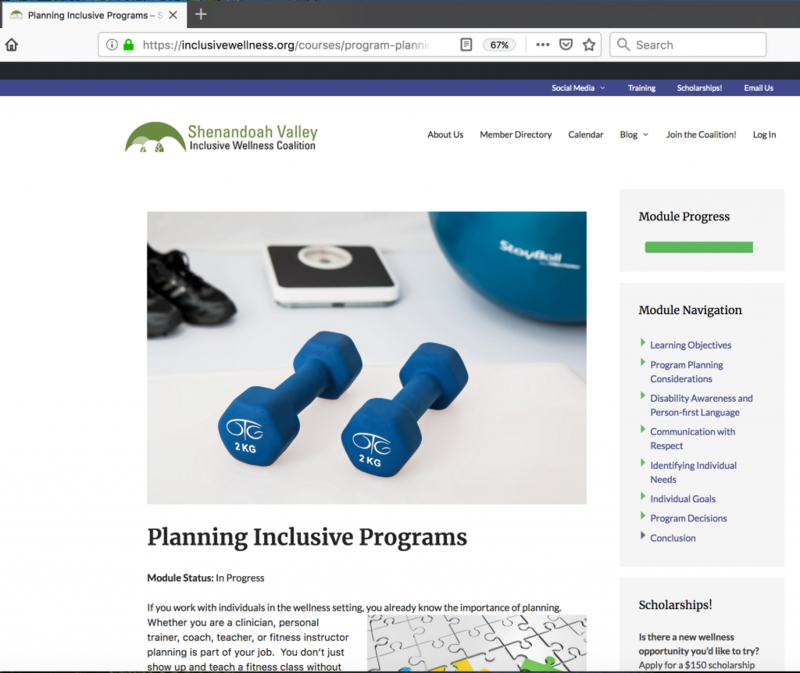 Start to take the Planning Inclusive Programs module and take notes for your feedback. Step 8. 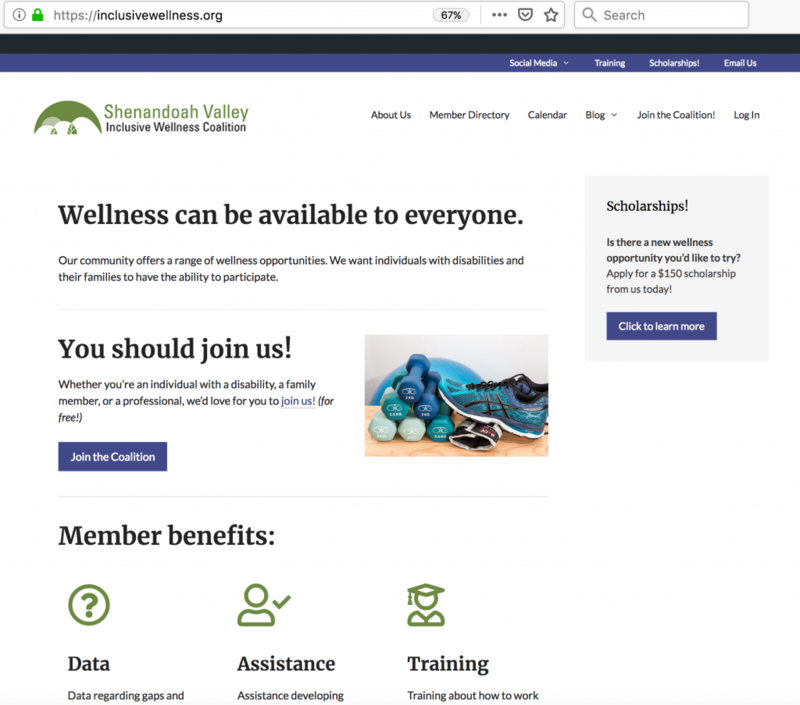 Click on SVIWC Usability Test for Online Modules, which will open in a separate tab in your web browser. Keep the usability test open, and come back to the Training tab to complete the online training module, and then navigate to the usability test to provide your feedback.